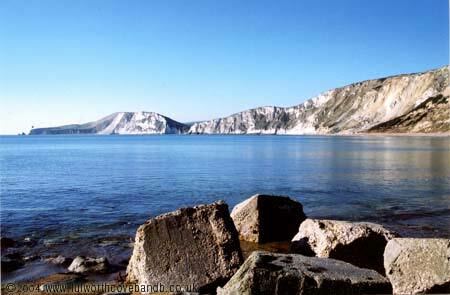 2.5 hours walk East along the coast path from Lulworth cove. The beautiful Warbarrow Bay looking West towards Arish Mell & Mupe Bays. A very popular fishing & swimming spot.